Like a cat who wants to be inside and outside at the same time, I switched drive trains again. 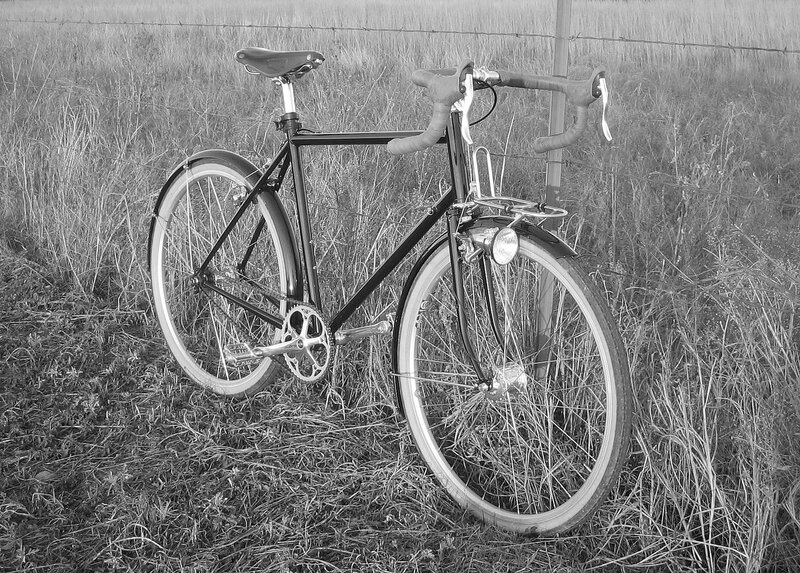 I’d really like to have a geared camping bike and a light, lean, and clean fixed wheel bike…at the same time. For now, this one switches back and forth with my whim. It was a good day to wash a bike and make a few refinements. I anticipate colder weather in January and February and not many camping opportunities. Although I love to read about her, I have no desire to be like Jill. Plus, I’m guessing a little more work out of the saddle to stay warm might not be a bad idea.